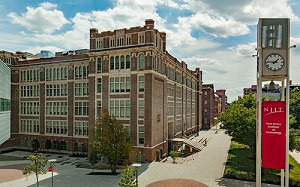 New Jersey Institute of Technology (NJIT) has announced the creation of its new School of Applied Engineering and Technology within the institution’s Newark College of Engineering. The new school will highlight the importance of internships, co-ops and apprenticeships within government and private industry and will include 10 undergraduate programs in engineering technology. Some of the programs that will be offered include electrical engineering technology, mechanical engineering technology, construction management technology, concrete industry management, general engineering and manufacturing engineering technology.